A new addition to the Medici Dynasty Collection, the Visconti Medici Blue Imperiale will be arriving in late April of 2019. This pen is now available for pre-order - you won't be charged until your pen arrives and is ready to ship to you. 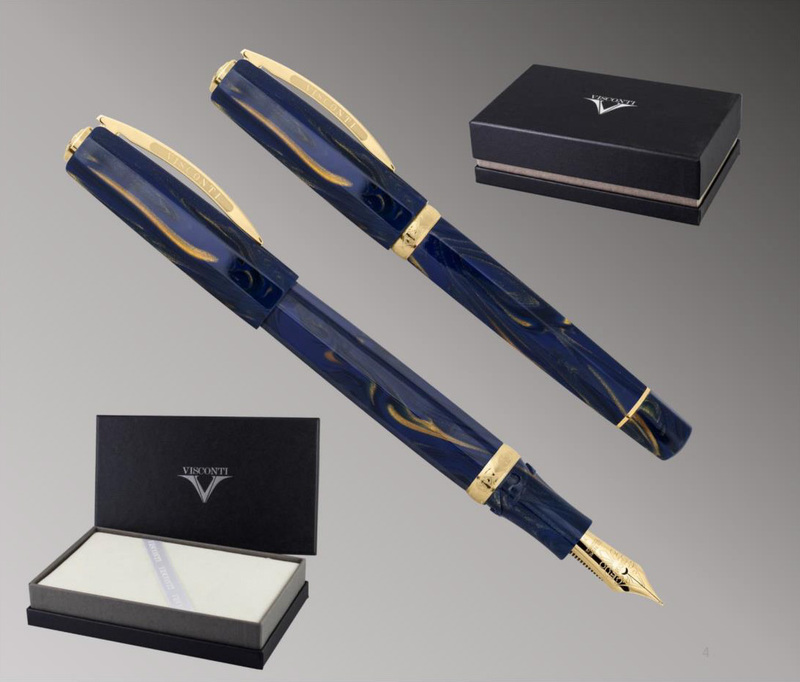 As an authorized Visconti dealer, we are not allowed to display discounted pricing - please enter code VISCONTI20 during checkout to receive our best price on this beautiful writing instrument. Visconti's proprietary Acrosilk material combines silk and high quality resin to create an appearance reminiscent of handcrafted celluloid and designed in this case to evoke the precious stones used in mosaics in the Medici villas in Florence. 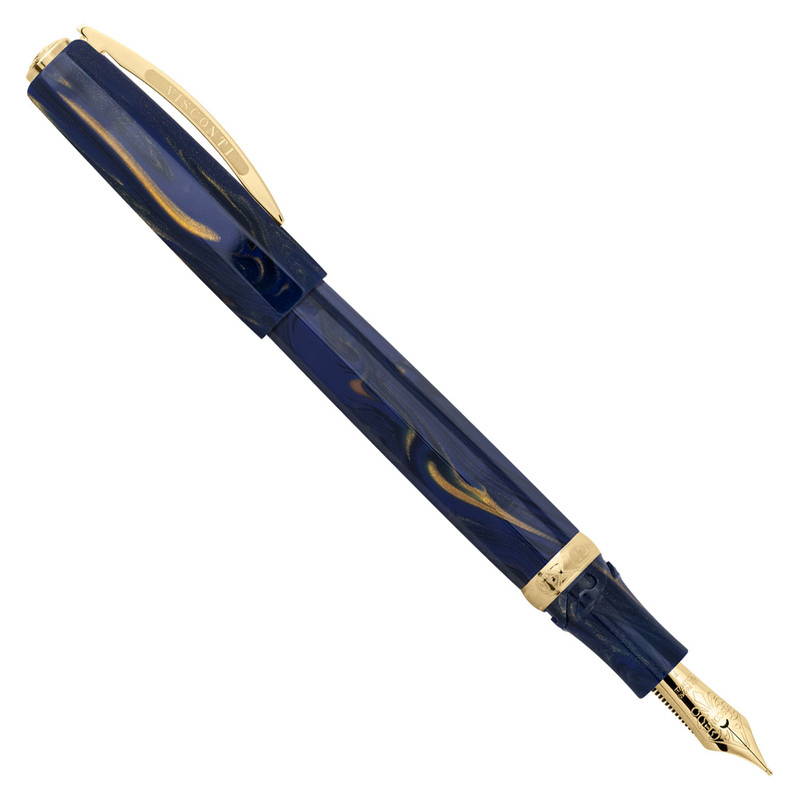 Each pen is hand-assembled in the Visconti workshop and utilizes the unique Power Fill mechanism, which allows it to fill using any bottled fountain pen ink. The 23k solid palladium nib is plated in yellow gold, and benefits greatly from our complimentary nib tuning services, which adjust pressure and ink flow to your personal preferences. Our optional nib customizations can further personalize your writing experience, adding to the character and distinctiveness of your writing on the page.